consumer indebtedness once again sweeping across the UK. Unsustainable debt causes major problems and misery for individuals and their families, and is a costly burden to society. looking to find a way out of their debt problems. The Debt Arrangement Scheme, which is implemented via a Debt Repayment Programme, may be the answer for those who aren’t necessarily insolvent but who need some breathing space when it comes to their debts. DAS is a statutory, government backed scheme which if approved, protects debtors from their creditors by taking action for recovery of the debt, whilst also freezing interest and charges. It affords those in debt a reasonable period to repay their debts back in full. In some cases, those who are unable to meet their monthly contractual obligations jump feet first into insolvency, just to get the creditors off their back, stop the constant phone calls and sometimes, the astronomical interest that is applied. Consumers get trapped in a debt cycle, paying minimum payments that often only cover the interest on the loan. This is never a good move. Any debt advisor knows that they must provide anyone who approaches them with the best advice for their individual circumstances and in some cases, insolvency is not always the most appropriate. DAS is a statutory repayment programme therefore assets are not considered, so property and other assets, such as a car or furniture, are protected. Campbell Dallas always ensures that each person who approaches us for advice is aware of ALL their options and given the information they require in order to make an informed choice. DAS is recognised as a statutory scheme across Scotland, and most of the larger creditors such as banks, HMRC and councils have dedicated teams who deal with those customers taking part in the scheme. Most people have heard of bankruptcy however in most cases, those in debt decide to struggle on, fearing insolvency is their only other option. They worry about losing their home or their jobs, and are unaware of DAS because it is never explained to them. There are 2 types of DAS products available, DAS and Business DAS. 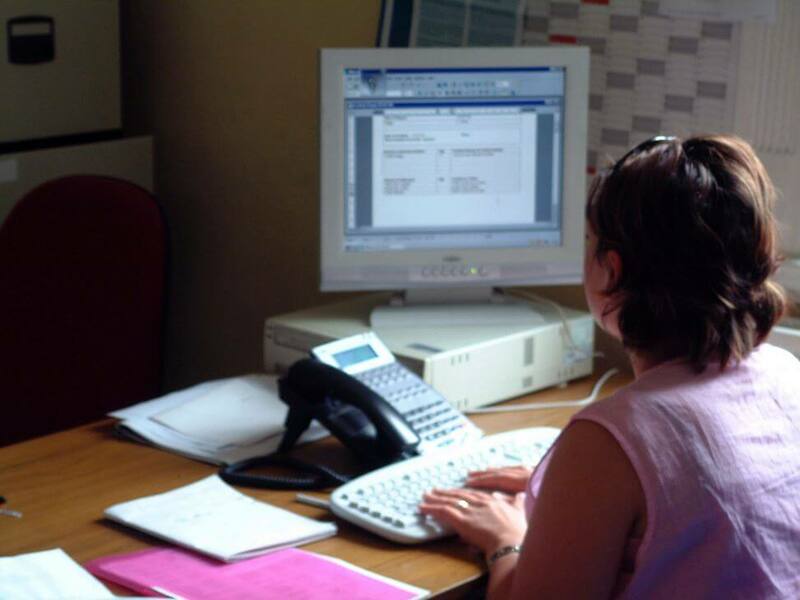 An individual DAS helps individuals, couples, sole traders and the self-employed whereas Business DAS helps partnerships, trusts or unincorporated bodies. You must seek money advice from a DAS approved money advisor, like ourselves. Your surplus income is worked out using the Common Financial Tool, which is used to assess household income and expenditure across all statutory debt solutions in Scotland. 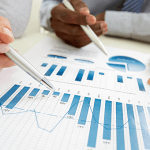 Your creditors are given time to consider the proposal. Interest and charges are frozen as long as the programme is approved. You pay what you can reasonably afford to a Payment Distributor each month and they pay it to your creditors on a pro rata basis. Your plan will last until all creditors have been paid in full, however this must be within a reasonable timescale, usually no more than 5 years for Business DAS and 10 years for DAS. When it comes to tackling debt, the first step can be the most difficult. After you decide once and for all that it’s time to pay off debt, what do you do next? Seeking advice is the best course of action in any debt situation. At Don’t Fret About Debt we provide confidential, expert advice on the best way to proceed in paying off debts. This article should give you a head start in understanding your debt. The likelihood is that you’ve already heard these terms numerous times because these are the most fundamental ways of categorising your debts. Secured debts are those which have collateral attached. Collateral is something that is pledged as security for repayment of a loan (i.e. a house or a car). In a situation that the loan cannot be repaid, the creditor can seize the property and sell it to recoup the owed amount. An example of a secured debt would be a mortgage. On the contrary, unsecured debts are those without collateral. These pose more of a risk to creditors as there is no asset attached for security – therefore they have a higher interest rate and can be dangerous if left unpaid. Creditors can sue the borrower for the money owed. A common example of an unsecured debt is an outstanding credit card bill. This is an important first step in understanding your debts as the possibility of losing your car or house obviously makes a particular kind of debt an extreme priority. 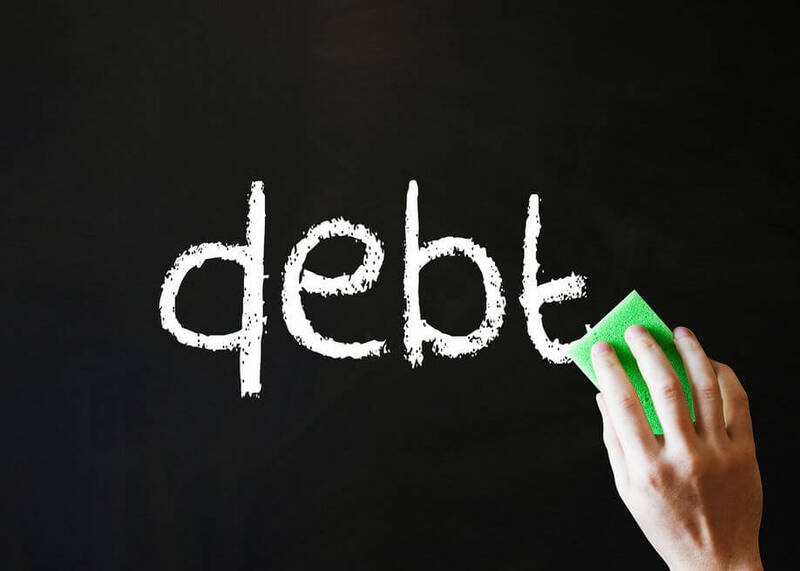 In the case of an unsecured debt, some debt solutions such as a Trust Deed or Debt Arrangement Scheme can help you pay off debt while also preventing creditors from taking legal action against you. If you’re trying to pay off debts to a number of different creditors, it’s important that you understand the priority of each. Under legal classifications, debt can be categorised into “Priority” and “Non-priority”. Our team at Don’t Fret About Debt can help guide you to understanding your priority and non-priority debts. As the name suggests, these are debts that should be paid off first. Hopefully, by this stage, you’ve managed to get your head around the nature of your debt and the importance of each type. 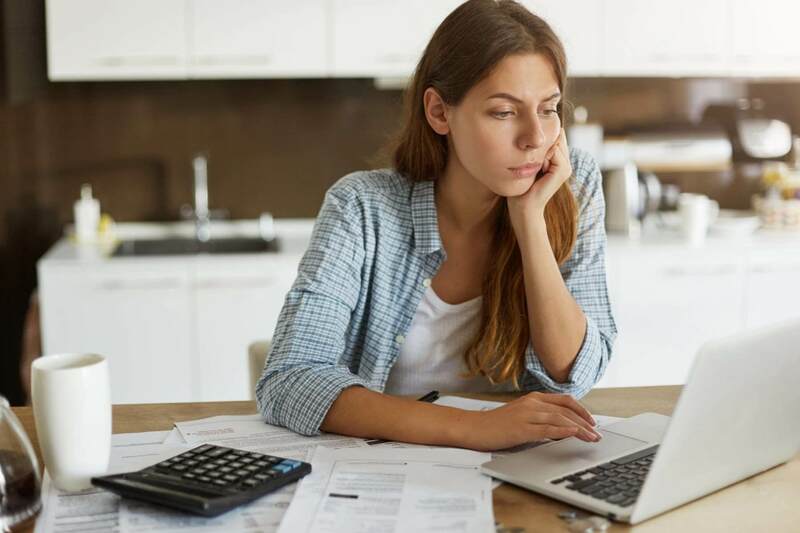 Trying to pay off debt to multiple creditors on a variety of dates through the month can be a stressful juggling act, but there are some helpful options. 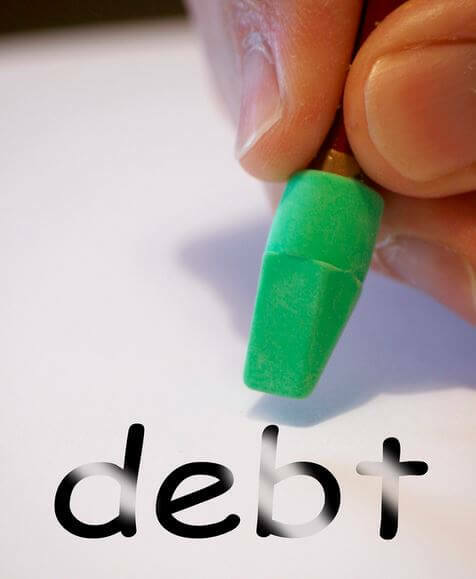 At Don’t Fret About Debt we can help find the debt solution that works for you and helps you become debt free. Some schemes such as the Debt Arrangement Scheme can help consolidate your debt into a single monthly payment while also allowing you to freeze or discount fees, interest, penalties and charges as long as you keep up with your monthly debt payments. You can try our free Debt Calculator today to discover some more simple debt solutions that are tailored to your needs. When your debts reach an unmanageable level it’s natural to seek help to deal with them however it’s surprising how many people put off dealing with their debts through an official channel, for fear of what impact it will have on their credit report. Surely getting out of debt and not having to struggle pay packet to pay packet and regaining a reasonable standard of living is more important than keeping that gold plated credit file? It appears not. Sometimes however, you’re doing just as much damage to your credit file and people are surprised when they have a low score. Say you have 3 credit cards, all maxed out totalling £10,000. You have never missed a payment and therefore assume that your credit report is whiter than white. WRONG! The problem here isn’t necessarily that you’re penalised for making the minimum payments, this is perfectly acceptable. The issue is that your debts haven’t really decreased that much over a 12 month period due to interest and this has a bigger impact on your score than you may think. 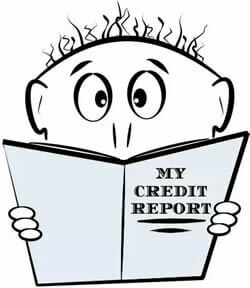 You could still be paying off those credit cards 10 years down the line therefore they will still be lurking about, affecting your credit report. If you consider a formal debt relief option, you could take the pressure off, reduce your monthly payments and be debt free in 4 years!! Your credit agreements fall off after 6 years anyway, so perhaps you’re not doing yourself any favours? Second problem, a lot of people hope to get a mortgage in “4 or 5 years” and therefore the possibility of reducing their £600 monthly debt repayments to something more manageable just doesn’t seem worth it. Consider this…..
Due to the new mortgage affordability checks which have been kicking about for some time now, your monthly debt payment will affect your ability to get a mortgage. Say you earn £2,000 a month (joint) and you go for a mortgage. The first thing the lender is going to do is check your income and expenditure to ensure you can afford to pay them back. If you are paying 30% of your household income to debt, by the time you also take off any car payments and the bills that come with a home, they may decide you just can’t afford it. You’re no better off, you’ve not been able to afford to spend money on yourself, you’re still knee deep in debt and guess what, you’re not getting that mortgage either. Great huh? Unmanageable debt holds you back and rains on your parade so if you need a helping hand with debt and your credit file is playing on your mind, consider the above. When you’re trying to pay off debt, the last thing you should be doing is spending lots of money on presents. That might sound harsh (or even a bit mean), but the reality is that the more you spend money on things other than your debt, the longer you’ll be in debt for. What you should be doing and what you want to do however, are two very different things. Maybe you just enjoy gift giving? Or at the very least, you probably feel obliged to reciprocate when someone gives a gift to you. So is it possible to carry this on, but still save money on gifts? Yes, as long as you don’t mind being a little bit creative! You can give guilt free gifts – presents that won’t cost much money at all – and that you’ll have put some thought and effort into. Aren’t they the best kind of gifts anyway? 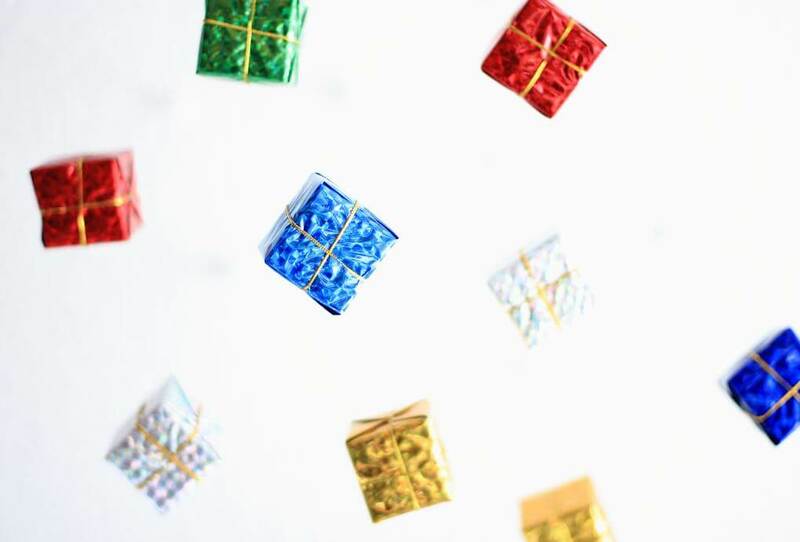 Here are 5 low cost gifts that you won’t need to feel guilty about and the recipient will love. This is an extremely low cost gift to give a special friend or family member. It’s simply a book of memories, written by you and detailing your recollections of special times you’ve spent with the person you’ll be giving the book to. Since you’ll mostly be giving your time instead of money for this gift, you could invest in a very nice notebook (for less than £10). Handprints are special. A handprint captures a point in time and they are particularly remarkable, because your own handprint is unique to you. If you have children yourself, capture their handprints in a clay mould and paint it before giving as a gift to grandparents or other family members. You can even give your own handprint as a gift to your parents! There’s no rule that handprints can only be done by kids! Everyone loves photos. In today’s digital age, many people keep their photos stored on their mobile phone or computers, fully intending to get them printed out but never quite getting around to it. So why not make a photo collage? Take some time to sift through pictures of you and your friends or family, get them printed, stick them onto a backing and buy a nice frame! You might not consider yourself as a crafty type of person, but the chances are that you can make something. Jams, chutneys, cakes, handmade soaps, candles, jewellery, scrapbooks and knitted or crocheted items can all be given as gifts. You can make most of these things at a relatively low cost, providing you shop around for materials first. You might just find yourself a new hobby in the process! Have you ever found yourself wondering what on earth you can buy your friends or family members that they haven’t already got (and that won’t break the bank either)? Why not opt for something practical and useful that you know they need instead, rather than spending money on generic and usually expensive gifts like perfume, aftershave, flowers, or jewellery? If you plan ahead properly, you can make a note of things that your recipients actually need but that they probably won’t get around to buying themselves. Maybe they need a new measuring spoon set for baking, or a pot clip to keep dirty spoons off the counter? These things are very cheap to buy and they make practical and useful presents that really will be used. But utimately, the best gift to give is your time. Sounds cliché but it’s definitely true! Your friends and family will appreciate the time you spend with them, so you could arrange to visit them to catch up and have some inexpensive fun together. Spending time with the people you care about and actually making memories is far better than any material gift you could buy. School holidays can bring about tears of joy or tears of frustration – and that’s just the parents! The last thing we need to be hearing is that over-used phrase ‘I’m bored, there’s nothing to do’ (said with an eye roll thrown in for good measure). While most of us will love having the children home for a week or more it can be an expensive week when school is on a break. It therefore makes sense to have a plan and look at how you can give them some treats but not break the bank. Here are some tips in time for the upcoming half term. 1. Plan ahead, the best way for us to ensure everyone has a good half term holiday is by having a conversation well ahead of the break and decide as a family what you want to do. Set realistic expectations that maybe includes one big day trip out and the other days are filled with more low key events and activities. This way each child knows what to expect and is involved in the planning. 2. Don’t fill all the time with activities. I am a firm believer in letting children relax and have nothing days. We will have a day where they eat bacon butties and don’t get dressed until lunchtime. Term time can be busy especially if like me you have one doing GCSE’s and one doing SAT’s plus a tot in reception. Let them have some downtime. 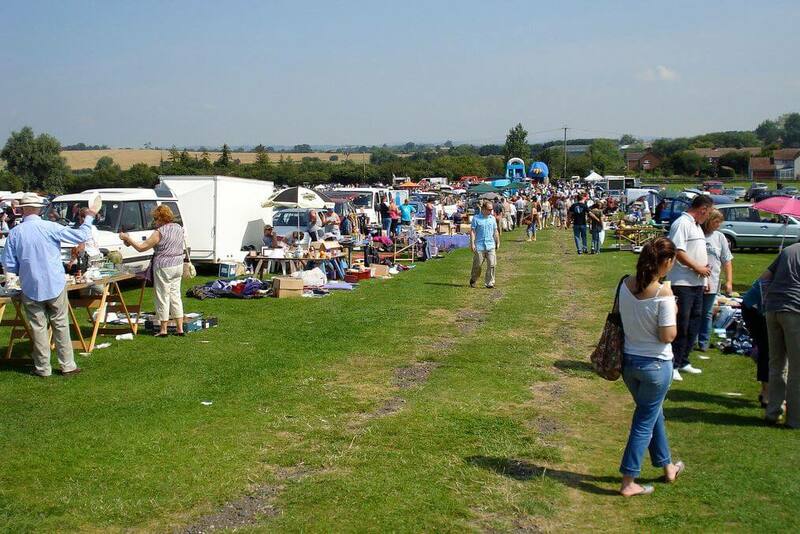 I recommend grabbing some bargain DVD’s from the charity shop or car boot and saving them for a day like this. These are also great if the weather doesn’t play nicely during a week off. Source 3. Prepare a box of activities in the weeks leading up to a school holiday. 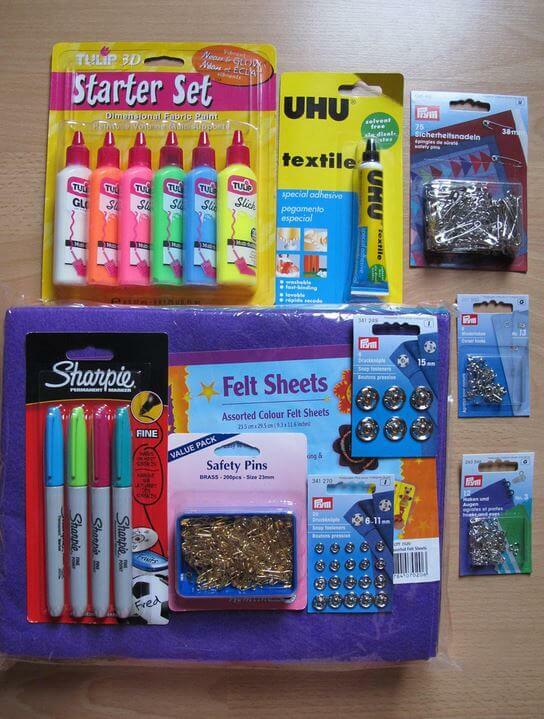 Again charity shops are ideal as are craft packs from the pound shops. My youngest will happily craft for hours so I stock up on bits ready to bring out for those days at home. Board games from charity shops are a winner with the tween. 4. When the sun is shining make the most of your local park. Plan a trip there with some other mums, take your own picnic lunch, blanket and bats and balls. This is a sure fire winner. The mums could even slip a little Pimm’s in to the picnic – after all it is your week off too and apparently Aldi’s Pimm’s is highly rated if you are money saving! Organise a game of football, or set up some races. Lots of laughs with very little cost. 5. Use the internet to find out what is on offer in your local neighbourhood for free. I am always amazed by some of the activities that local libraries and museums put on for children for free or a nominal cost. Local churches often run activity days too and advertise through local schools. Again if you arrange it with some other mum friends your little one is likely to be keen to go. Take turns doing the drop off and pick up and it means mum gets a break too. 6. Pre-book the big day out. It is nearly always cheaper when buying tickets for attractions online for example if you pre-book Drayton Manor Theme Park seven days in advance each ticket is £5 cheaper. For a family of four or five that is a big difference and could maybe cover the cost of your picnic. 7. Cash in vouchers like Clubcard points to spend during the week off. Cinema tickets are quite pricey but you can get through Meerkat Movies, which are 2 for 1, and it’s always worth checking the voucher sites to see if anything local has some holiday deals. 8. Finally set a budget and stick to it. Parents often put so much pressure on themselves but need not. I bet if you think back to your school holidays you were not entertained 24/7! Your child or children can entertain themselves and they learn this when we as parents step back a bit. Let them use their imagination and come up with their own entertainment. 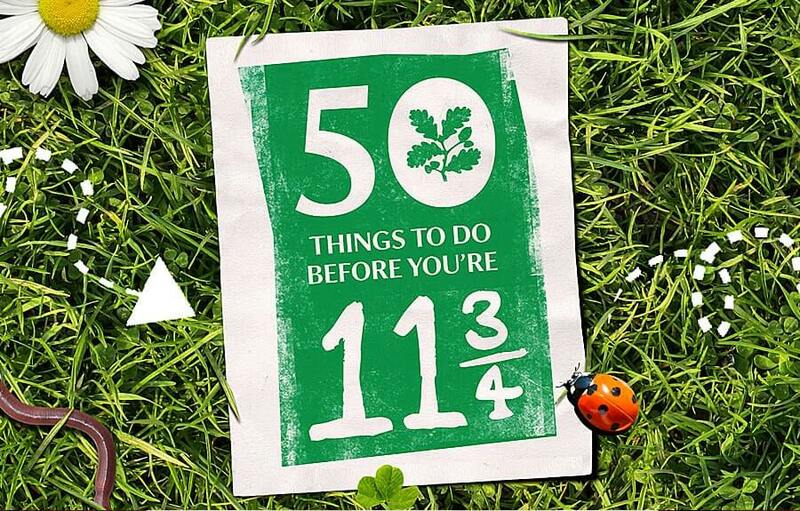 One great source for inspiration on this (which I love) is this 50 things to do before you are 11 3/4 from the National Trust. Good luck and let us know how you manage to rein in the costs of half term holidays! If you are taking a break from the rat race but still need to earn some money there are ways it can be done. Maybe like me you are having a long sabbatical whilst you decide what is next for you. We are living in times that are vastly different from our parents and now people often have more than one career. Or maybe you are a stay at home mum whilst your children are young. Balancing school and work is such a challenge especially during the school holidays that maybe it makes sense to be working for yourself. Over the past few years I have built myself some additional income streams and I finally seem to have that elusive work life balance. All of these ideas are things that I do or have done, and they have enabled me to have the same standard of living that I had when I had a regular income. 1. The internet has made it so much easier to be a bit entrepreneurial and there are opportunities out there to make money and fit when it suits you. It may not be enough to radically change your income but it can often pay enough to give you what you need. It is not a passive income though and you still need to put the hours in. 2. Entering competitions. Yes this is an actual thing which I discovered six years ago when I was on bedrest and pregnant. There are websites like Prize Finder, Loquax and MSE that all list open competitions. You simply pop in your details and wait for the prizes to arrive. It is a numbers game and if you enter lots you will win, the only thing is you won’t know whether you win big or small but over the years I have won plenty from bikes, vouchers, holidays to toiletries and dvds. The prizes I don’t need are often used as birthday and Christmas presents. Prizes are tax free so no declaring or anything is required. I have a new washing machine on my ideal win list! 3. Mystery shopping. Again people often think this will be a scam. It isn’t, as long as you use reputable sites like Gapbuster and React Surveys. 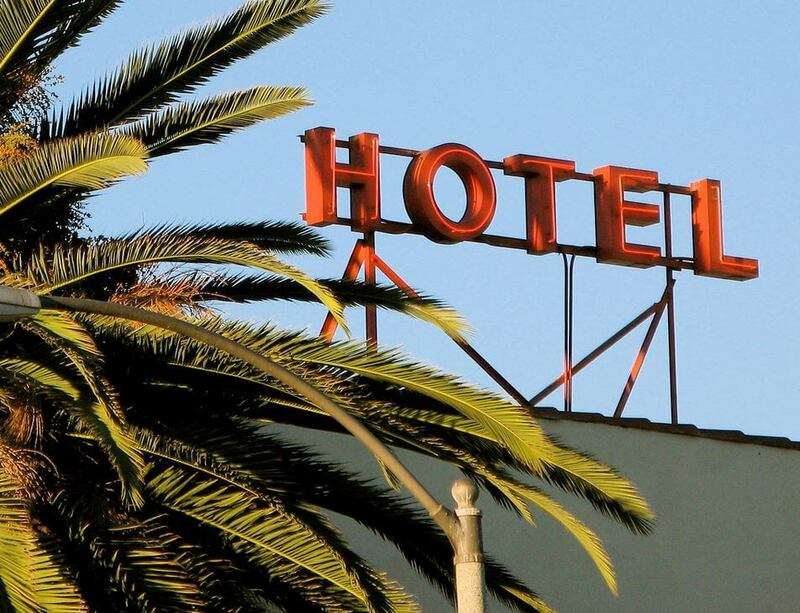 Never pay anything to be registered – these sites are free. You do the assignment and are then reimbursed and paid. You will not get rich for mystery shopping but you can get nice treats like meals out at chain restaurants including Strada and Green King Pubs. In the past I have had three month gym memberships, hotel stays and countless meals out. After your experience you fill in an online questionnaire and then claim your expenses and receive a nominal payment. This is a great way to have some of life’s luxuries for free. 4. Blogging is another possible income stream. If you set up a successful blog you can monetise it through advertising or by reviewing products and places. However, blogging is not for the faint hearted, it takes a huge amount of time and dedication but you can do it around other family commitments. We have been incredibly lucky and had holidays both abroad and in UK off the back of blogging, it has changed my life beyond belief. If you want to consider a blog look at Tots 100 for advice on setting one up – but don’t assume it will be successful quickly. I have been doing this for five years now and whilst it has given me the freedom to leave teaching there is a lot of admin and pitching for articles involved. 5. Selling your skills. If blogging and writing is not one of your skills consider what skills you do have. Can you bake amazing cakes, take amazing photos? Do you sew? Or what about childminding? There are many ways that you can sell the skills you have, but take the time to research any steps you need to take before pursuing them professionally. For example, childminders need to be registered with their local council. Now that I work for myself I seek out others doing the same. I use local friends that bake and decorate birthday cakes rather than go to a shop. Taking the time to build this community can mean you have more work from others. Alternatively there are also roles as party hosts for companies like The Bodyshop and Partylite that are commission based. You can earn in the evenings which ensures that you are around for the school run. 6. Sell what you no longer need. Car boots, Facebook selling sites, Ebay… It is amazing what you have lying about that you no longer use and need and there are plenty of places to earn some money for it! As the children outgrow clothes and toys I sell them on. If it doesn’t sell it then heads to the local charity shop. My children have so many clothes and they are rarely worn out they just outgrow them. This is the same with toys – we have so many now that things are not overly used. Therefore selling them on can be easy as the quality will be almost as new. One last thing, remember that if you make money it needs to declared and you will need to keep accounts. This is really easy to set up and you will pay tax if you go over your personal allowance so do keep account of everything.